Ava Blouse https://www.review-australia.com/asia/ava-blouse-black-cream/RE19TW041.REBLK009.html An ultra-versatile piece which is perfect for dressed up days at work or evenings with friends, this Ava Blouse is expertly made from lightweight materials. 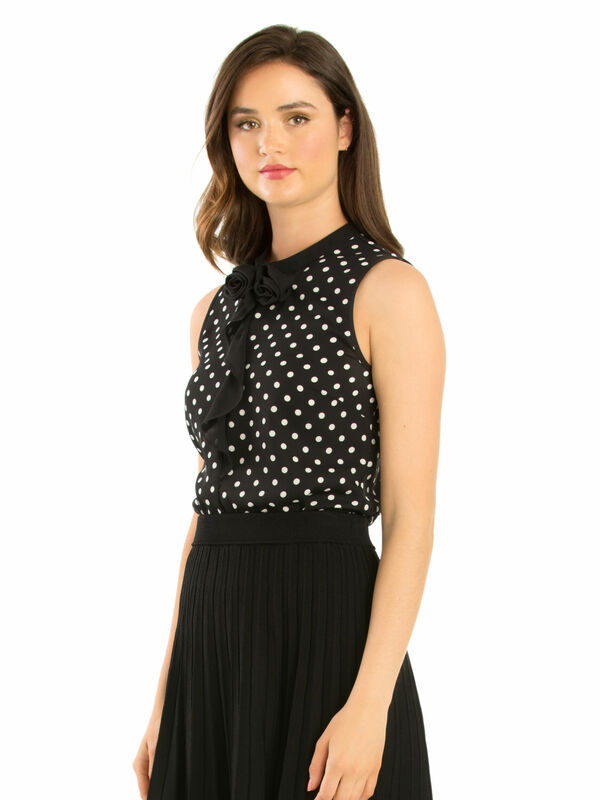 Adorned with sweet black and white polkadots, this top is fitted with a double rosebud applique at the neckline and a chiffon ruffle front. It has a single button closure at the back and can be styled with anything from slim fit trousers to A-line skirts.